The following image of Jupiter and 3 of its moons was generated in Photoshop from a stack of video frames taken in January 2001 through Mike Dumelow's Dall-Kirkham telescope by Graham Ensor. 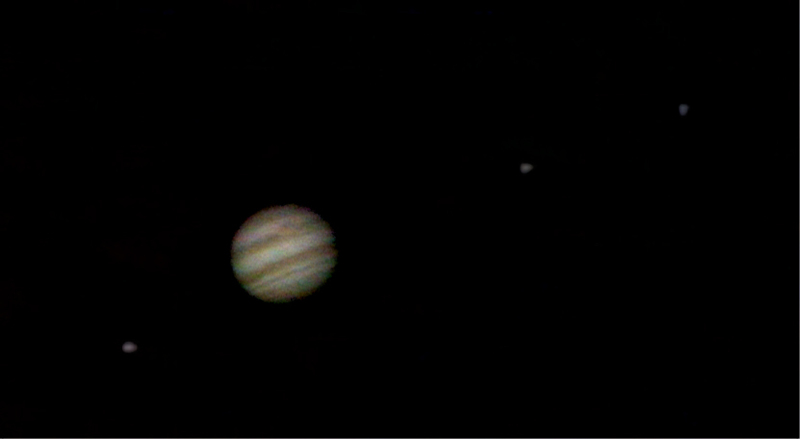 The seeing was excellent and the Great Red spot is also visible. South is at top. This was one of the first such stacked images that Mike and Graham experimented with.